Ellestadite: Mineral information, data and localities. The name ellestadite (sensu lato) was first introduced by McConnell (1937) as a name for a rose-pink or orange calcium silicate-sulphate mineral from Crestmore, California, USA. "Ellestadite" was defined as the endmember in the apatite group (sensu lato) that contains SiO44- and SO42- groups substituting for PO43- group. It was named in honor of Dr. Ruben B. Ellestad (1900-1993). Rouse and Dunn (1982) showed that the Si:S ratio was close to 1:1, giving the formula Ca10(SiO4)3(SO4)3X2, where X represented fluorine (F), hydroxyl (OH) or chlorine (Cl). Based on the original chemical analysis, the type specimen should be considered hydroxylellestadite (Pasero et al. 2010). The name ellestadite is (after the new nomenclature of the apatite supergroup 2010) used as a common name for both the OH-dominant (hydroxylellestadite) and the F-dominant species (fluorellestadite), both members of the Ellestadite Group. A chlorine-dominant phase, named ellestadite-(Cl) has been synthesized, but not found in nature (Pasero et al. 2010). See also Ellestadite Group in the Apatite Supergroup. Recommended labelling for ellestadite specimens without a determination of the dominant anion: ellestadite. Calcite 7 photos of Ellestadite associated with Calcite on mindat.org. Tobermorite 7 photos of Ellestadite associated with Tobermorite on mindat.org. Rondorfite 3 photos of Ellestadite associated with Rondorfite on mindat.org. Vesuvianite 2 photos of Ellestadite associated with Vesuvianite on mindat.org. 17.10.2 Pitiglianoite Na6K2(Al6Si6O24)(SO4) · 2H2O Hex. 17.10.7 Tuscanite (K(Ca,Na)6(Si,Al)10O22[SO4,CO3,(OH)2] · H2O Mon. 17.10.9 Delhayelite (Na,K)10Ca5Al6Si32O80(Cl2,F2,SO4)3 · 18H2O Orth. 17.10.10 Hydrodelhayelite KCa2AlSi7O17(OH)2 · 6H2O Orth. 17.10.13 Franzinite (Na,K)6Ca2(Al6Si6O24)(SO4)2 · 0.5H2O Hex. 17.10.16 Chessexite (Na,K)4Ca2(Mg,Zn)3Al8(SO4)10(SiO4)2 · 40H2O Orth. 17.10.28 Wenkite (Ba,K)4(Ca,Na)6[(SO4)3|(Si,Al)20O39(OH)2] · 0.5H2O Hex. McConnell, D. (1937) The substitution of SiO4 and SO4 groups for PO4 groups in the apatite structure; ellestadite, the end-member. American Mineralogist: 22: 977-986. Palache, C., Berman, H., Frondel, C. (1951) The System of Mineralogy of James Dwight Dana and Edward Salisbury Dana, Yale University 1837-1892, Volume II. John Wiley and Sons, Inc., New York, 7th edition, revised and enlarged, 1124 pp. : 906. Rouse, R.C., Dunn, P.J. (1982) A contribution to the crystal chemistry of ellestadite and silicate sulfate apatites. American Mineralogist: 67: 90-96. [Fluorellestadite] GOLD, D.P., EBY, G.N. & VALLEÉ, M. (1986) Carbonatites, diatremes and ultra-alkaline rocks in the Oka area. Fieldtrip guidebook 21, GAC/MAC Meeting, Ottawa, 51p. [Hydroxylellestadite] Лицарев М.А. и др. Гидроксилэллестадит из гранат-волластонитовых скарнов Аримао-Норте (Куба), //Записки ВМО, 1998, N6, c.68-75. ; Chukanov, N. V. (2013). Infrared spectra of mineral species: extended library. Springer Science & Business Media. ; Zateeva, S. N., Sokol, E. V., & Sharygin, V. V. (2007). Specificity of pyrometamorphic minerals of the ellestadite group. Geology of Ore Deposits, 49(8), 792-805.; Litsarev, M. A., Organova, N. I., Khranach, P., Chukanov, N. V., Kuz’mina, O. V., Kartashov, P. M., ... & Zadov, A. E. (1998). Hydroxylellestadite from the Arimao Norte Garnet–Wollastonite Skarn (Cuba). Zap. Vseross. Mineral. O–va, 127(6), 68-75. Blaß, G. and Kruijen, F. (2015) Neuigkeiten aus der Vulkaneifel (II/2015). Mineralien-Welt, 26(5), 80-90. Gross, S. (1977): The Mineralogy of the Hatrurim Formation, Israel. Geological Survey of Israel, Bulletin no. 70, 80 pp. [Fluorellestadite] Galuskina, I.O., Galuskin, E.V., Vapnik, Y., Prusik, K., Stasiak, M., Dzierżanowski, P., Murashko, M. (2017): Gurimite, Ba3(VO4)2, and hexacelsian, BaAl2Si2O8 – two new minerals from schorlomite-rich paralava of the Hatrurim Complex, Negev Desert, Israel. Mineralogical Magazine, 81, 1009-1019. Sharygin, V.V., Sokol, E.V. & Vapnik, Ye. (2008): Minerals of the pseudobinary perovskite-brownmillerite series from combustion metamorphic larnite rocks of the Hatrurim Formation (Israel). Russian Geology and Geophysics 49, 709-726. [Fluorellestadite] Galuskin, E.V., Galuskina, I.O., Gfeller, F., Krüger, B., Kusz, J., Vapnik, Y., Dulski, M., Dzierżanowski, P. (2016): Silicocarnotite, Ca5[(SiO4)(PO4)](PO4), a new ‘old’ mineral from the Negev Desert, Israel, and the ternesite-silicocarnotite solid solution: indicators of high-temperature alteration of pyrometamorphic rocks of the Hatrurim Complex, Southern Levant. European Journal of Mineralogy: 28: 105-12. [Hydroxylellestadite] Harda, K., Nagashima, K., Nakao, K., Kato, A. (1971) Hydroxylellestadite, a new apatite from Chichibu Mine, Saitama Prefecture, Japan. American Mineralogist: 56: 1507-1518 Am.Min. :67:90 (1982); Acta Cryst. B36(1980). Pitty, A. F., & Alexander, W. R. (2010). A natural analogue study of cement buffered, hyperalkaline groundwaters and their interaction with a repository host rock IV: an examination of the Khushaym Matruk (central Jordan) and Maqarin (northern Jordan) sites. NDA-RWMD Technical Report, NDA, Moors Row, UK. [Fluorellestadite] Khoury, H.N., Sokol, E.V., Kokh, S.N., Seryotkin, Y.V., Nigmatulina, E.N., Goryainov, S.V., Belogub, E.V., Clark, I.D. (2016): Tululite, Ca14(Fe3+,Al)(Al,Zn,Fe3+,Si,P,Mn,Mg)15O36: a new Ca zincate-aluminate from combustion metamorphic marbles, central Jordan. Mineralogy and Petrology, 110, 125-140; Sokol, E. V., Kokh, S. N., Khoury, H. N., Seryotkin, Y. V., & Goryainov, S. V. (2016). Long-term immobilisation of Cd 2+ at the Tulul Al Hammam natural analogue site, central Jordan. Applied Geochemistry, 70, 43-60. Pitty, A. F., & Alexander, W. R. (2010). A natural analogue study of cement buffered, hyperalkaline groundwaters and their interaction with a repository host rock IV: an examination of the Khushaym Matruk (central Jordan) and Maqarin (northern Jordan) sites. NDA-RWMD Technical Report, NDA, Moors Row, UK. ; Khoury, H. N., Salameh, E., & Abdul-Jaber, Q. (1985). Characteristics of an unusual highly alkaline water from the Maqarin area, northern Jordan. Journal of Hydrology, 81(1), 79-91. [Fluorellestadite] Miranda-Gasca, M. A., Gomez-Caballero, J. A., & Eastoe, C. J. (1998). Borate deposits of northern Sonora, Mexico; stratigraphy, tectonics, stable isotopes, and fluid inclusions. Economic Geology, 93(4), 510-523. 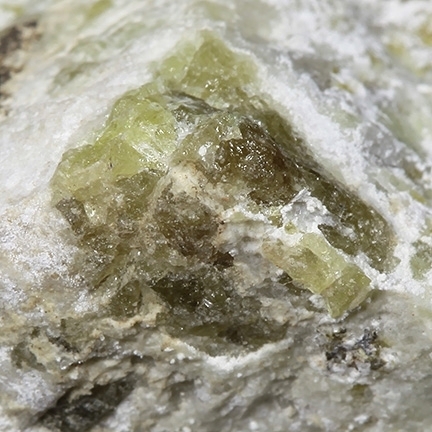 [Fluorellestadite] Galuskina, I.O., Vapnik Ye., Lazic B., Armbruster T., Murashko M. and Galuskin E. Harmunite CaFe2O4: A new mineral from the Jabel Harmun, West Bank, Palestinian Autonomy, Israel. American Mineralogist, 99, 965–975. [Fluorellestadite] Seryotkin Y.V., Sokol E.V. & Kokh S.N. 2012: Natural pseudowollastonite: Crystal structure, associated minerals, and geological context. Lithos, vol. 134-135, pp. 75-90; Seryotkin, Yu.V., Sokol, E.V., Kokh, S.N. (2012): Natural pseudowollastonite: Crystal structure, associated minerals, and geological context. Lithos, 134–135, 75-90. [Fluorellestadite] Galuskina, I. O., Gfeller, F., Galuskin, E. V., Armbruster, T., Vapnik, Y., Dulski, M., ... & Murashko, M. (2018). New minerals with modular structure derived from hatrurite from the pyrometamorphic rocks, part IV: Dargaite, BaCa 12 (SiO 4) 4 (SO 4) 2 O 3, from Nahal Darga, Palestinian Autonomy. Mineralogical Magazine, 1-22. [Fluorellestadite] Schnorrer-Köhler (1991), Mineral Occurrences. [Hydroxylellestadite] Marincea, S., Dumitras, D. G., Ghinet, C., & Bilal, E. (2014, September). Superposed parageneses in the gehlenite-bearing, high-temperature skarns from Oraviţa (Banat, Romania). In IMA2014. [Hydroxylellestadite] Onac, B.P., et al. (2006). American Mineralogist: 91: 1927-1931. [Hydroxylellestadite] Marincea, Ş., Bilal, E., Verkaeren, J., Pascal, M.-L., and Fonteilles, M. (2001) Superposed paragenesis in spurrite-, tilleyite- and gehlenite-bearing skarns from Cornet Hill, Apuseni Mountains, Romania. Canadian Mineralogist: 39: 1435-1453.; The Canadian Mineralogist Vol. 39, pp. 1405-1434 (2001); Marincea, Ş., Dumitraş, D. G., Călin, N., Anason, A. M., Fransolet, A. M., & Hatert, F. (2013). Spurrite, tilleyite and associated minerals in the exoskarn zone from Cornet Hill (Metaliferi Massif, Apuseni Mountains, Romania). The Canadian Mineralogist, 51(3), 359-375. Cesnokov, B., Kotrly, M. and Nisanbajev, T. (1998): Brennende Abraumhalden und Aufschlüsse im Tscheljabinsker Kohlenbecken - eine reiche Mineralienküche. Mineralien-Welt, 9 (3), 54-63 (in German). [Fluorellestadite] Sharygin, V. V. (2015). Mayenite-supergroup minerals from burned dump of the Chelyabinsk Coal Basin. Russian Geology and Geophysics, 56(11), 1603-1621. [Fluorellestadite] Zateeva, S. N., Sokol, E. V., & Sharygin, V. V. (2007). Specificity of pyrometamorphic minerals of the ellestadite group. Geology of Ore Deposits, 49(8), 792-805. [Fluorellestadite] Cesnokov, B., M. Kotrly, and T. Nisanbajev (1998): Brennende Abraumhalden und Aufschlüsse im Tscheljabinsker Kohlenbecken - eine reiche Mineralienküche. Mineralien-Welt, 9 (3), 54-63 (in German). [Hydroxylellestadite] Galuskin, E.V., Galuskina, I.O., Kusz, J., Gfeller, F., Armbruster, T., Bailau, R., Dulski, M., Gazeev, V.M., Pertsev, N.N., Zadov, A.E., Dzieržanowski, P. (2015): Mayenite supergroup, part II: Chlorkyuygenite from Upper Chegem, northern Caucasus Kabardino-Balkaria, Russia, a new microporous mayenite supergroup mineral with “zeolitic” H2O. European Journal of Mineralogy. 27, 113-122; Bailau, R., Gałuskin, E. V., Gazeev, V. M., & Gałuskina, I. O. Raman investigation of potential new mineral-Fe 3-analogue of wadalite from calcareous-silicate xenoliths of the Upper Chegem caldera, Northern Caucasus, Russia. [Hydroxylellestadite] Galuskin, E.V., Galuskina, I.O., Gazeev, V.M., Dzierżanowski, P., Prusik, K., Pertsev, N.N., Zadov, A.E., Bailau, R., Gurbanov, A.G. (2011): Megawite, CaSnO3: a new perovskite-group mineral from skarns of the Upper Chegem caldera, Kabardino-Balkaria, Northern Caucasus, Russia. Mineralogical Magazine, 75, 2563-2572. [Hydroxylellestadite] Zadov, A. E.; Grabezhev, A. I.; Pertsev, N. N.; Chukanov, N. V.; Pribavkin, S. V. (2006): Tobermorite-plombierite metasomatites of the Gumeshevsk skarn-porphyry copper deposit, Middle Urals. Doklady Earth Sciences 407A, 495-497. ; American Mineralogist, Volume 94, pages 323–333, 2009; Grabezhev, A. I., Pertsev, N. N., Zadov, A. E., Pribavkin, S. V., & Murzin, V. V. (2007). Calcic hydrosilicate metasomatic rocks at the Gumeshevsk skarn-porphyry copper deposit in the central Urals, Russia. Petrology, 15(5), 514-522. [Fluorellestadite] Koděra P., Uher P., Ozdín D., Kollárová V., Lexa J., 2009: Monticellit, clintonit a hydroxylellestadit-fluorellestadit: vzácne skarnové minerály na Cu-Au porfýrovo-skarnovom ložisku Vysoká – Zlatno (štiavnický stratovulkán). Mineralia Slovaca, 41, 2, 169-178. 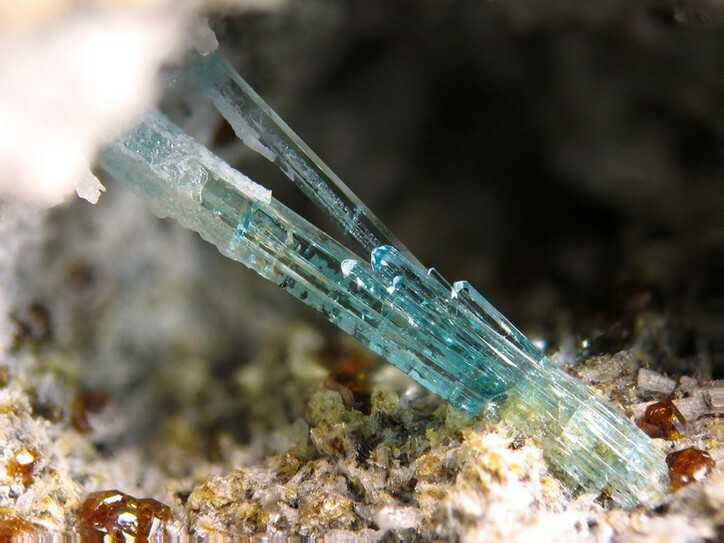 [Fluorellestadite] Galuskina, I.O., Krüger, B., Galuskin, E.V. ,Armbruster, T., Gazeev, V.M., Włodyka, R., Dulski, M. & Dzierżanowski, P. (2015): Fluorchegemite, Ca7(SiO4)3F2, a new mineral from the edgrewitebearing endoskarn zone of an altered xenolith in ignimbrites from Upper Chegem Caldera, Northern Caucasus, Kabardina-balkaria, Russia; Occurrence, crystal structure, and new data on the mineral assemblages. Canadian Mineralogist. 53, 325-344. [Hydroxylellestadite] Taner, M. F., Martin, R. F., & Gault, R. A. (2013). The Mineralogy of Skarns of the Spurrite–Merwinite Subfacies, Sanidinite Facies, Güneyce–Ikizdere Area, Eastern Black Sea, Turkey. The Canadian Mineralogist, 51(6), 893-911. [Fluorellestadite] Pemberton, H. Earl (1983), Minerals of California; Van Nostrand Reinholt Press: 316. [Fluorellestadite] Eakle, A.S. & A.F. 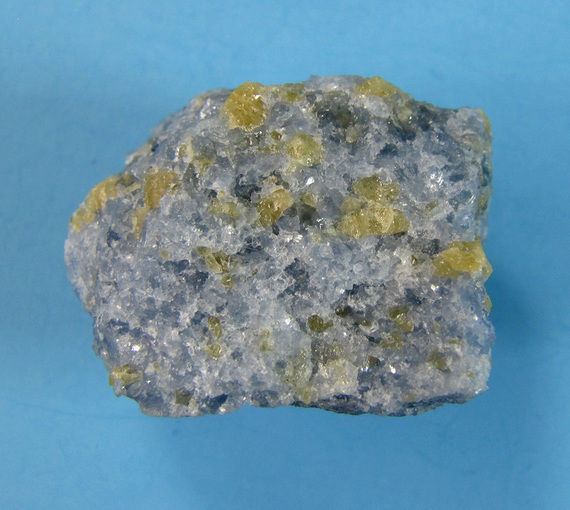 Rogers (1914), Wilkeite, a new mineral of the apatite group, and okenite, its alteration product, from southern California, Am. Jour. Sci., 4th. Series: 37: 262-267. [Fluorellestadite] Woodford, A.O., Crippen, R.A., and Garner, K.B. (1941) Section Across Commercial Quarry, Crestmore, California. American Mineralogist: 26: 368. [Fluorellestadite] Woodford, A.O., Crippen, R.A., and Garner, K.B. (1941) Section Across Commercial Quarry, Crestmore, California. American Mineralogist: 26: 367-368. McConnell, Duncan (1937) The substitution of SiO4- and SO4-groups for PO4-groups in the apatite structure; ellastadite, the end-member. American Mineralogist: 22: 977-986; Woodford, A.O., Crippen, R.A., and Garner, K.B. (1941) Section Across Commercial Quarry, Crestmore, California. American Mineralogist: 26: 352-381. [Fluorellestadite] Cooney, R.L. (1956), The mineralogy of the Jensen and Henshaw quarries near Riverside, California: Unpublished Master’s thesis, University of California at Los Angeles: 24, 39, 41; Pemberton, H. Earl (1983), Minerals of California; Van Nostrand Reinholt Press: 316; Devito, F. and Ordway, A. (1984), The Jensen Quarry, Riverside County, California. Mineralogical Record: 15(5): 273-290. Bull. Soc. Franç. Minéralo. Cristallo. , 1974, 97, p. 502.